The new General Data Protection Regulation (GDPR), which comes into force on 25 May 2018 is far more extensive in scope and application than the existing Data Protection Act 1998. Small businesses need to be prepared to meet the requirements of GDPR and ensure compliance. 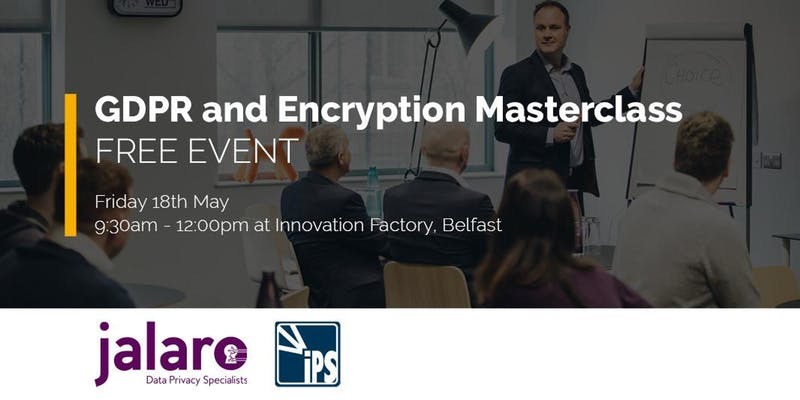 The Masterclass will provide a clear overview of the new GDPR regulations and how businesses can better protect themselves against cyber-crime. It will also include a demonstration on laptop encryption and provide an opportunity to address questions on GDPR, cyber-crime prevention and encryption. This is aimed at business owners, senior managers and staff members responsible for managing company data. Robin Gonzalez, Norman McCrudden and Roy Toner – Integral Project Services / Jalaro Data Privacy Specialists.